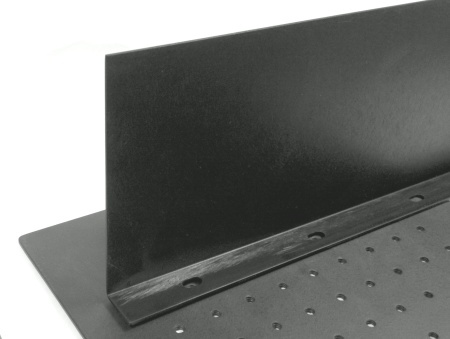 Home > Laser Safety Barriers > Table Mount Laser Barrier - 6" x 24"
Can be used in any configuration that your table top allows. Multiple panels can be joined to screen any size or shape of table. Unit is photo is shown on a 1" grid pattern top(not supplied).